When I was younger I went every summer from Seattle to LA (Redondo Beach) to visit my dad. Each summer we would go to the amusement park du jour (Disneyland, Knott’s Berry Farm, Sea World, LA Zoo) and while all were great Disneyland was by far the best. 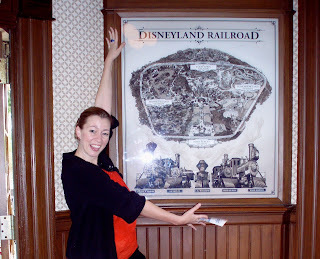 Once in the park and I got my fill of Dumbo, Thunder Mountain, Rocket ships, etc. I would get a souvenir hat. The first of course was Mickey ears, but through the years I would end up with Goofy, Donald Duck, Minnie Mouse and I am sure there has to be at least one more that I am forgetting. Well to make things even worse for my sister (on top of having to babysit me) I would wear the hat for the remainder of the trip. As a teenager the only that could be more embarrassing was if there had been two of us. So while I apologize today for the sins of yesterday, let me be clear I would still wear the hats today! The Goofy one was particularly stylish because it was trucker hat style with long ears and buck teeth. AWESOME. Whenever I think of Disneyland I always reference it as a kid with my hat. A few years ago my brother, sister, nieces, nephew and parents all went to Disneyland and it was crazy fun and exhausting at the same time. We rode the rides, ate the food and bought hats (including me, duh!) and loved it all. However, the best time that I ever had was when my sister, aunt and her friends (the latter two being Disney freaks…in a good way) went together. We saw what we wanted to see, rode the rides we wanted to ride and ate at Club 33 (which was a blast on its own) all without kids. While it is lovely to take kids to Disneyland, you really transform into a kid when they aren’t there. Being with two Disney freaks (in a good way) allowed us to experience the park in a way I never had before. They know secrets and sneaks all over the park. It was a blast. Everyone should try this as an adult (and yes I got a hat. You should too.). So why am I talking about Disneyland? Well I am currently on my way to Anaheim and was feeling a little nostalgic. I also will be hitting up Euro Disney mid October so I figured why not talk about the Happiest Place on Earth today. Also I will be getting new hats at both places (Nemo, old school Mickey or maybe a Jack Sparrow hat? Can’t decide). You should too.